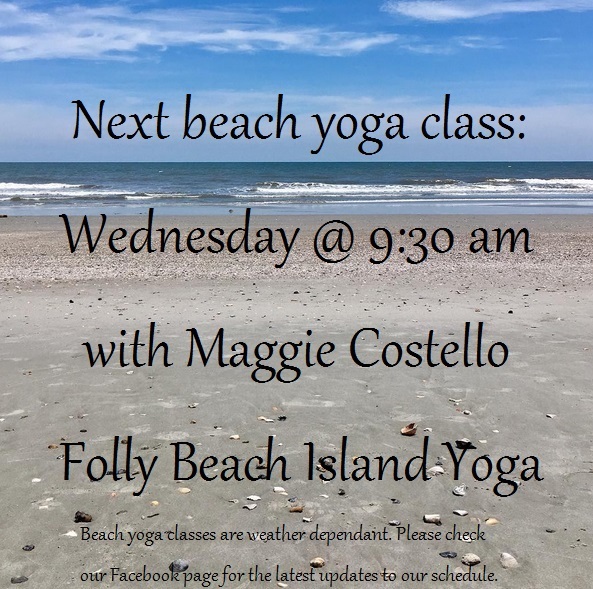 Folly Beach Island Yoga is a husband and wife team offering private and public yoga classes in the Charleston, SC area. Beginning Memorial Day weekend 2017 we will offer yoga classes upstairs Saturdays at 10 a.m. and Sunday’s at 9 a.m. at St. James Gate at 11 Center Street, Folly Beach, SC. Classes will be open level. Bring or borrow a yoga mat and bring plenty of water with you. $12 online or at the class. Cash and all major credit cards accepted. We offer a military, veteran, and first responders discount on this and all other Folly Beach yoga services. 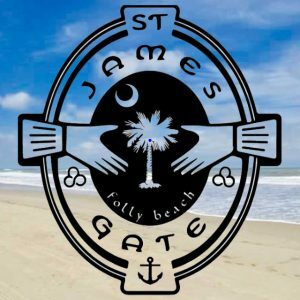 Make sure to check out our amazing and wonderful host, St. James Gate Irish Pub, for brunch after yoga on Sundays, or anytime for authentic Irish cuisine and fresh seafood in a casual atmosphere. Jenny is a U.S. army veteran, graphic artist, special needs mother, and RYT-200 yoga teacher. She is currently enrolled in a 500 hour teacher training, and teaches yoga on Folly Beach and Kiawah Island. 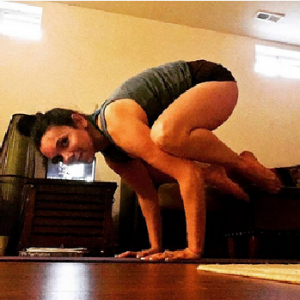 Her specialties include postpartum weight loss yoga, yin yoga, and arm balance training. Contact us to schedule a private lesson with Jenny. 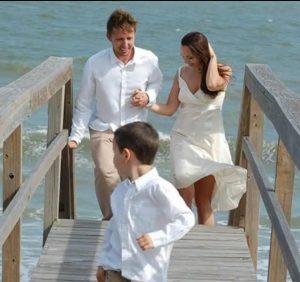 Jenny teaches privately and currently offers one public class per week alternating between Kiawah Island and Folly Beach, SC.